Vasilievsky Island, 8th line, 11-13. 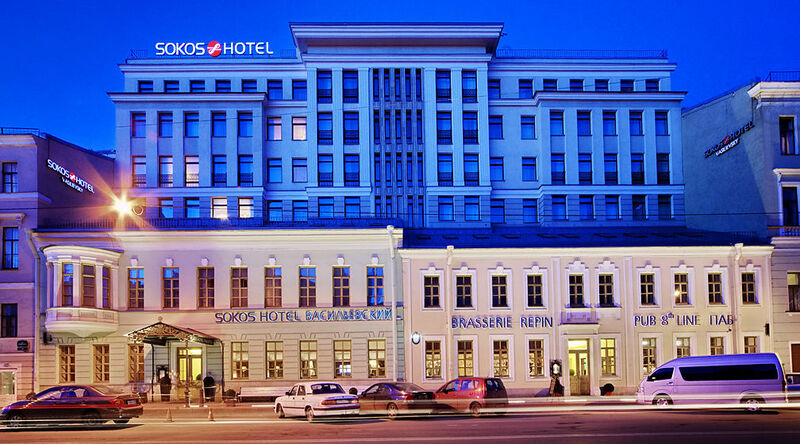 Surrounded by canals, Sokos Hotel Vasilievsky is located on Vasilyevsky Island. Nevsky Avenue and all the wonderful sights of the city are within walking distance. An aristocratic atmosphere reigns at the hotel. One half of the hotel was a residence for dignitaries, as the former palace of the Swedish ambassador. Let yourself be charmed by the unique details, for example, the exquisite wallpaper in the rooms, the portraits lining the corridors and the crystal chandeliers and marble floors in the foyers. Prices include breakfast and tax. 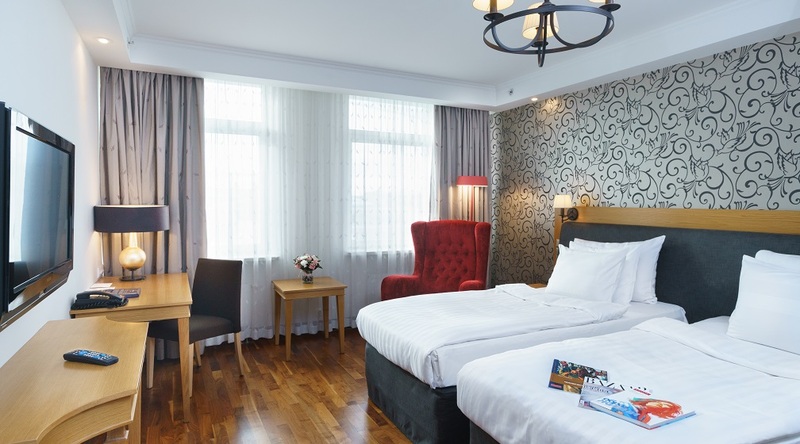 If you want to check-in before 14:00 (from 00:00) you should pay the extra price of one night stay in the hotel. If you want to stay for a few hours after check-out time (till 00:00) you should pay the extra price of one night stay in the hotel.